Find yourself spending lots of time at carpet stores in Indianapolis lately? Shopping for carpet can be a bigger project than some people realize. Colors, carpet styles, room characteristics... there's a lot to consider. Here's a quick carpet buyer's guide to help you pick the best carpet for your home. 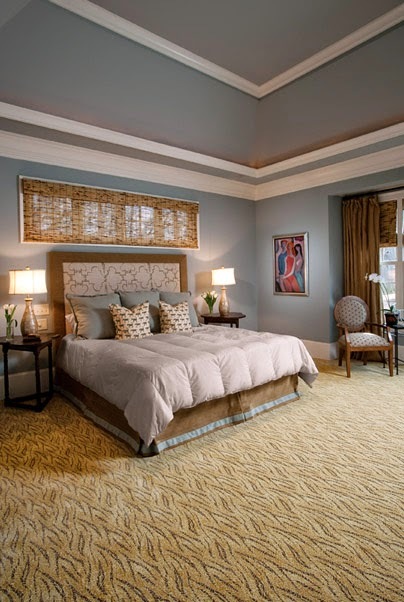 The carpet that is perfect for your hallway may not be the right style for your bedroom. The carpet in your living room may not the best choice for basement game room. In large great rooms or multi-use spaces like basements, you may even need more than one type of carpet in the same room! Carpet typically comes in loop, cut pile, textured, or patterned styles. Each has pros and cons that should be matched up with the traffic patterns, room use and design of your rooms. The design experts at Indianapolis carpet store Kermans can help you review the different types of carpet and select the options that are just right for your home. Get a head start by reading about Types of Carpet on our website and watching the short video below. Measure your areas before you shop. Yes, a reputable carpet store will still come out and measure your home before ordering carpet but if you have a general knowledge of the size of the area you will be able to select carpets based on the size of the roll and seam placement. The most expensive isn't always the best. (Of course, the cheapest isn't always the best deal either.) Instead of looking for the cheapest carpet in Indianapolis, look at the manufacturers and ask questions to determine which has the quality you need for your home. Be prepared to bring home samples. Carpet covers a large area of any room so its color will have a big impact. We encourage you to take carpet samples home and look at them both under natural daylight and under lights at night. Place the samples near furniture and walls to get a feel for how its color matches up too. Spend some time considering the carpet pad. People often don't realize it but the padding makes a huge difference in the way a carpet feels underfoot. Carpet padding, the layer of material that lies between the carpet and floor, can make the difference between a good feeling carpet and a great one. It’s the carpet padding, not the carpet itself that determines how a carpet feels beneath your feet. Padding can also help with cleaning up spills and preventing odors from spills. Learn more questions to ask from Indianapolis carpet store Kermans' online carpet buyer's guide.